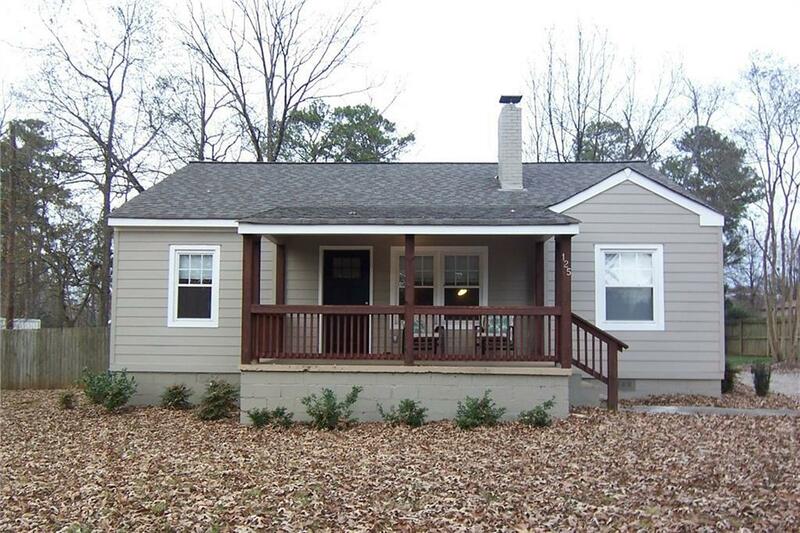 Charming, completely renovated cottage in Historic Roswell. Kitchen has granite countertops, new cabinets, stainless appliances. Kitchen is open to the dining area and the great room. Great room has lovely fireplace and built-in shelving. New windows and hardwood floors throughout. Laundry room. Rocking chair front porch and back porch. Large, level lot with storage building. Very private lot. Rent includes lawn maintenance. Walk to City square, restaurants, the Mill and church. Ready now. Appointment only. Directions: Roswell Road (Hwy 9) North To West On King Street. House Is On The Right.